Leaked beta footage from Japan shows you what you are in for. October just got a lot more scary. The beta for Dark Souls II launches October the 12th for PS3 users. Of course, you'd know if you were in it by now since invites went out on October 8th. If you are not one of the unlucky fools who have to plunge into that terrifying world before the rest of us, don't worry! A second wave of beta invites will be sent out on the 22nd for access on the 26th. And for anyone that dodges that bullet, March is just a few months away. The purpose of the beta is threefold. First is a common stress test. 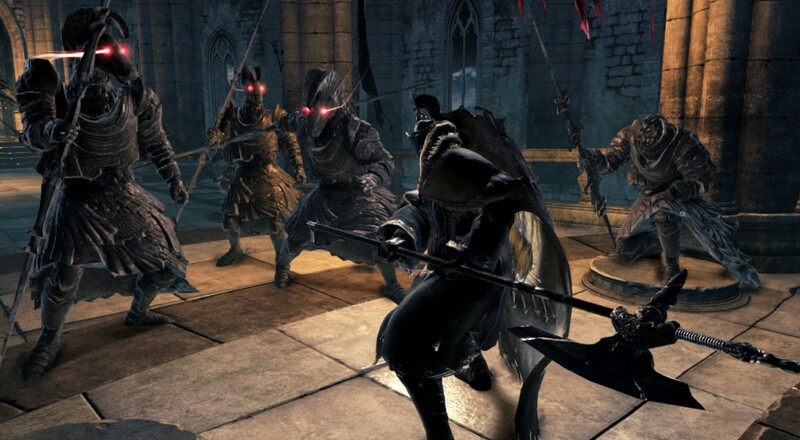 From Software wants to see how their servers hold up with tens of thousands of players connecting at once. Hopefully fire is not involved. Next, in true beta format, players connecting with a variety of networks are bound to uncover some multiplayer bugs to be fixed before the launch. The third element to the beta is game balance. They want some unsuspecting sucker to get in there and get his head crushed by a demon made of lava and evil, and then tell them how he feels about it. Oh, and multiplayer balancing issues as well. For my money, a Dark Souls game is already nightmarish enough without having to guess whether your adventurer exploding into organ meat was intentional or just a glitch. But if you really want to experience controller-shattering rage before anyone else, I'm not going to stop you. If you're itching for some co-op Souls love immediately, you can check out these direct feed videos from the Japanese beta for the game. You'll get a good idea how the interface works and even get a glimpse of some co-op action.